Contrary to what’s written on the faceplate of certain famous deluxe amplifiers, vibrato is a form of frequency (or wavelength) modulation which we hear as a variation in pitch. It is often confused with Tremolo, which among other things, is a type of amplitude modulation our ears hear as a change in volume. 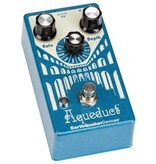 The EarthQuaker Devices Aqueduct vibrato uses a short delay line with eight different modulation modes to deliver gentle rolling pitch-wobbles, steady kosmiche pulsations, rapid trills, slimy sonic squiggles, whammy bar wiggles, and anything else your pitch-warped brain can picture in your murky mind’s eye. 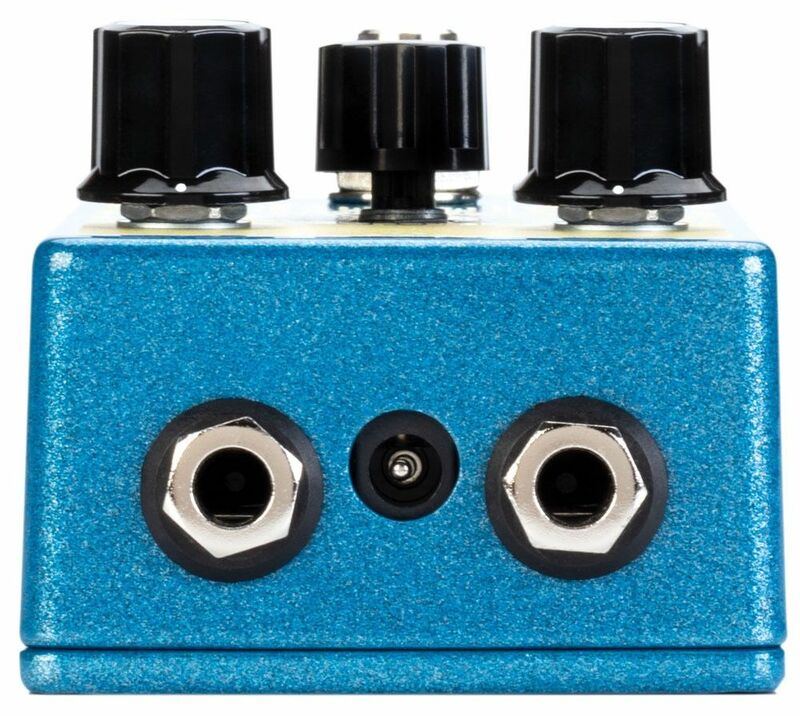 Env P: This is Envelope-Controlled Pitch mode, which we’ve lovingly nicknamed “The My Bloody Valentine setting.” If your instrument doesn’t have a tremolo bar, it does now. In this mode, the frequency modulation is controlled by the dynamics of your pick attack and not the LFO. Do yourself a favor and try this one with Flexi-Switchin™. Rate sets the sensitivity and overall range of the pitch bend. Depth is a wet/dry mix. When set all the way counterclockwise, there is no wet signal. Noon is a 50/50 blend. Depth settings above noon fade out the dry signal until only the wet remains. 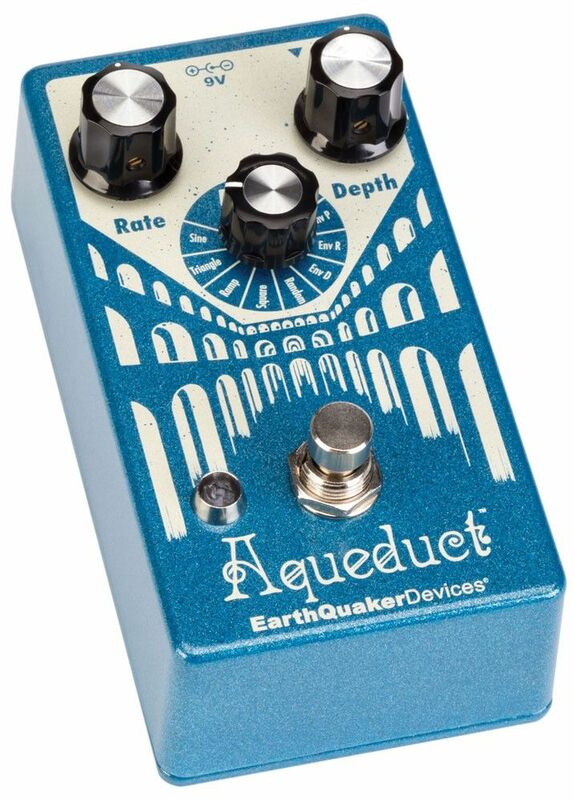 When using any of the envelope modes, it's recommended you place the Aqueduct first in the signal chain and/or before any effects that increase volume or gain. The Aqueduct was designed for low to medium output pickups. 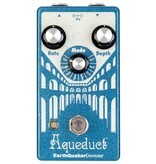 Any increase in output will make the envelope settings more responsive at lower settings thus making them less dynamic. This device features Flexi-Switch technology! 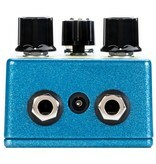 This relay-based, true bypass switching style allows you to simultaneously use momentary and latching-style switching. This Device should be powered by a standard 9-volt DC power supply with a 2.1mm negative center barrel. 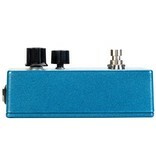 We always recommend pedal-specific, transformer-isolated wall-wart power supplies or multiple isolated-output supplies. 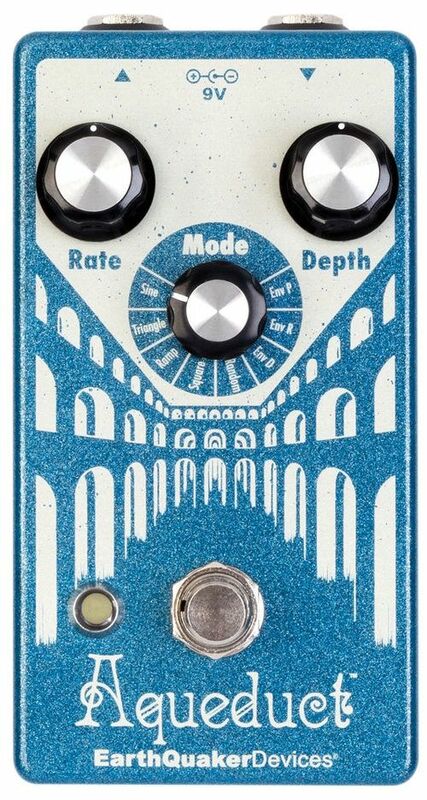 Pedals will make extra noise if there is ripple or unclean power. Switching-type power supplies, daisy chains and non-pedal specific power supplies do not filter dirty power as well and let through unwanted noise. Do not run at higher voltages!